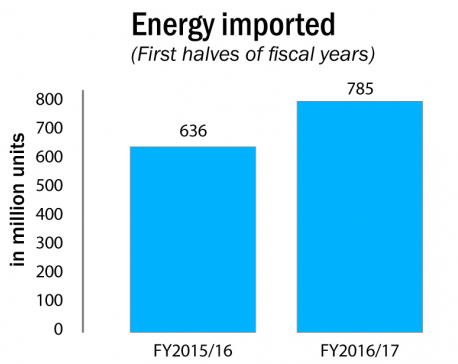 KATHMANDU, Nov 24: Chocolate imports increased by 37 percent in the last fiscal year compared to import figures of Fiscal Year 2014/15. According to Trade and Export Promotion Center (TEPC), different varieties of chocolates worth Rs 1.6 billion were imported in the country in the last fiscal year. 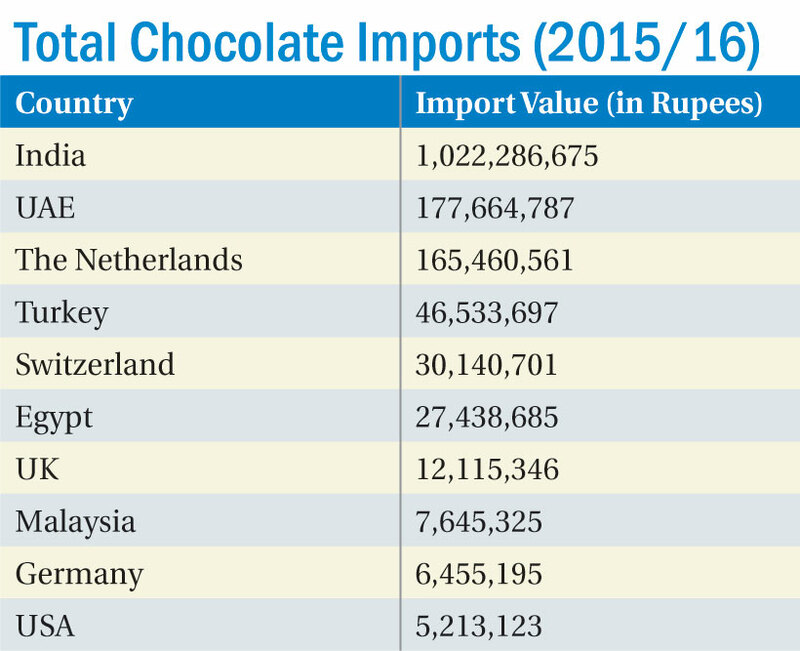 In 2014/15, traders had imported chocolates worth Rs 1.16 billion only. Import of chocolates is increasing with each passing year as local chocolate brands are failing to compete with foreign brands. Statistics compiled by TEPC shows Rs 1.22 billion worth of chocolates in block, slab or bar category were imported from India alone in 2015/16. According to Krishna Raj Bajgain, senior section officer at TEPC, the UAE (Rs 170 million) is second in the list followed by the Netherlands (Rs 160 million), Turkey (Rs 46.5 million) and the UK (Rs 12.1 million). Nepal also imports chocolates form Malaysia, Germany, the USA, Bulgaria, China, Hong Kong, Israel, Japan, Korea, the Maldives, Thailand, Egypt and Mexico. The statistics shows that the country imports 'chocolate in block or bar' -- weighing more than two kg -- from nine different countries. Most of such chocolates come from India and Bangladesh. Similarly, the country imported Rs 15.1 million worth of chocolates in 'chocolates, filled in block' category from eight different countries in 2015/16. Dairy Milk, Snickers, KitKat, Choco Pie and Mars are the popular chocolate brands among Nepalis. Mahendra Shrestha, general manager of Sujal Foods Pvt Ltd, agreed that imported chocolates were gradually displacing Nepali chocolates from the market. The company has been producing chocolates for the past four decades. There are six large-scale chocolate factories in the country -- Sujal Foods, Quality Confectionary, Asian Biscuit and Confectionary, Sagun Confectionary, Pashupati Foods, Salt and Sweet. Nepali factories products different varieties of products like candy, toffee, lollypop, bubblegum, wafers, and chewing gum, among others.